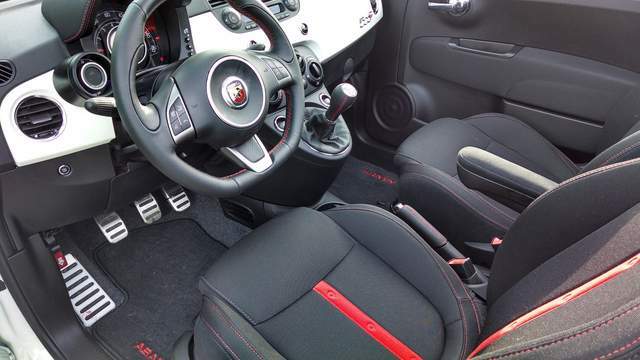 '13 Abarth Cabrio... what a HOOT to drive! One of the best exhaust notes in the world! Be careful, the car/girl/boat you just bashed is someone's pride and joy! Went and got another one! Sorry to see, glad these small things are built well and that you are safe. Question is, did you go for black this time? I'm guessing the second white one is the new one...different interior, wheels and side stripes. That is correct! 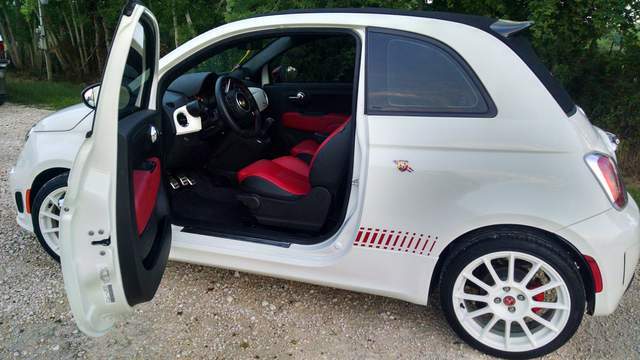 The second one is white also, but with red trim and leather interior. The red leather does look excellent! Gotta say, I think those white wheels are a better look! Glad you're alright, enjoy the car. Thanks!! Love the look, hate trying to keep them clean! LOL! The Abarth is VERY fun to drive! Like the old saying, " More fun to drive a slow car fast, than a fast car slow!" Nice choice! I like wringing out my 500 sport as a daily driver. The mpgs are most important, so I'm happy with the slower version. That Abarth should be a lot of fun if it's basically the same car on steroids. The short wheelbase is irreplaceable in a fwd car as refined as that. Mine is holding together decently enough, but be prepared to probably fall in love with its "character" too. As far as I can tell, there might be some steering and transmission issues that pop up on a lot of 500s regardless of model. If you feel a clunk in the steering, there isn't a reliable fix from FAIT on that. Also, from my experience with the lesser 5 speed transmission, I think owners need to treat the operation of the manual with more care than the regular econobox. What I do, is complete clutch depressed shifts even though it doesn't seem to need them. It's more obvious when downshifting while the chassis is upset. There is a mount available that stiffens up one of the connections on the Abarth (dog bone probably) and that should help. Something is just too lose/flexible in there. Since a lot of clutch issues are also popping up, I'd say leave the sport button reserved for long-winded drives, instead of stop and go. Also, turn off that hill assist thing. I think it just burns up clutches. 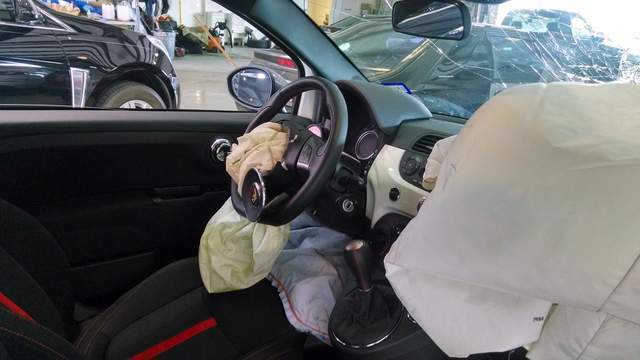 Trying to get to the bottom of why people are having to replace so many, so early (and FIAT isn't covering most of them because of wear and tear item.) The sport button on the regular 500 is massively boosted for a stock item in my opinion. Can't imagine how many cars are being lugged to death out there with that turned on. It does make a rather nice change to the weight and speed of the steering though. Have fun! Last edited by Hayden; 09-24-2014 at 01:01 AM. Thanks Hayden! 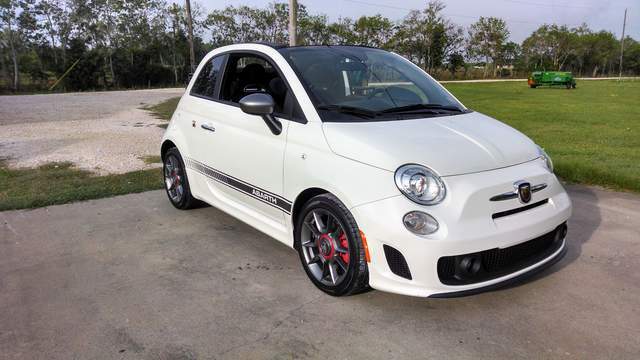 I ran a 2012 Pop for 15k before getting my first Abarth. Love em! I run them all in Sport, LOL! Its like a built-in sprint booster! Have not had an issue yet. Pretty tough little cars, I run with some guys at MSR with LOTS of track miles and zero problems.